A MOGO® is essentially a short form for ‘musical logo’. It is the sonic essence of a brand in musical terms and evokes its core values, emotions and persona. Why do I need a MOGO®? In this digital era, music and sound play an equally important role as the visual in creating a brand’s identity. Which is why a brand needs a MOGO®. 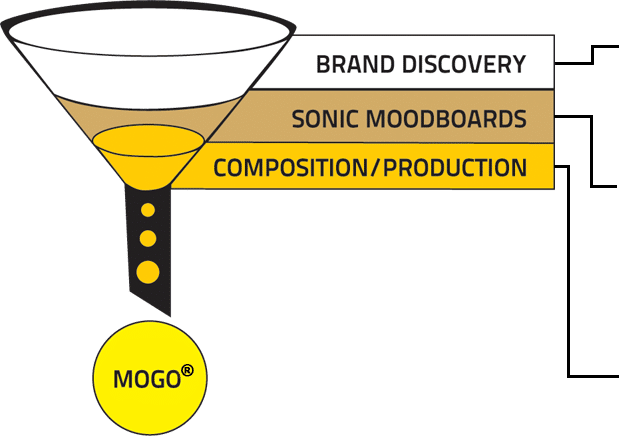 How do I create a MOGO®? A MOGO® is the culmination of a carefully managed 3-stage process which we call the MUSE (Musical Strategy Exercise). Where we understand your brand like a human being. That’s how we identify its distinct personality or Avatar and the key emotions or Rasas that symbolize the avatar. Very often the leap from paper to music is challenging. Especially at the evaluative stage. Which is why we have an intermediate stage which shares sketches of sounds to help clients identify the zone of their brand’s sound. 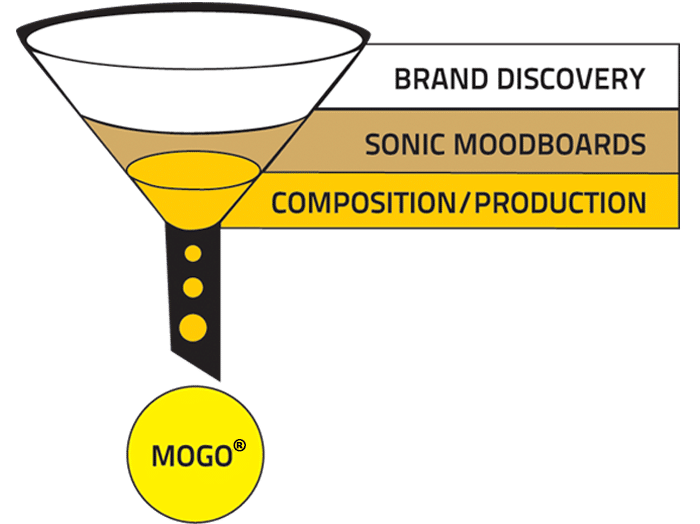 Now, the moment of truth where we create the MOGOSCAPE® which is the sonic palette of the brand. Embedded within which is the MOGO®. Where does a MOGO® live? Every location where your target audience can hear your brand is an opportunity for the MOGO® to make an impression. So, it is critical for your brand to be sonically consistent across these consumer Earpoints.